Another slow reading day with work, but today I'm off and plan on busting farther into Illuminae. I fell asleep reading it last night that's how addicting this book. I also realized my days were off on my posts so I was forced to pause and do some blog editing. This is why I should proof read things and not get trigger happy with the post button. Now today isn't just an update. Oh no! 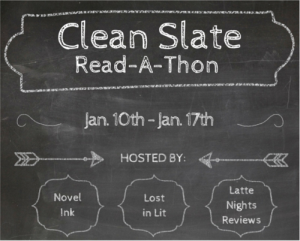 Today is a mini challenge brought to us by Latte Nights Reviews, and it is Book Cover Hunt. Some of them I knew right off the bat, other's I had to dig for just a bit. I was given 12 small chunks of book covers that will be released this year, and I was to find the title of each one. Since I work the next two days and it's the weekend I knew had this afternoon to get it down. Now I've edited this realizing I shouldn't have posted the covers or the answers just in case someone hasn't solved it. I don't want to ruin it!! It took me 2 hours, with a break for laundry and finally managed to find the three that were alluding me. BOOM! It was fun and the cats enjoyed watching yell, WHAT ARE YOU? !, at the computer screen. Reading: Between work and a need to re-watch Pysch I got nothing read today.